The world’s longest undersea rail tunnel linking the Arctic region with the heart of Europe could cost up to 20 billion euros and be opened by 2040. 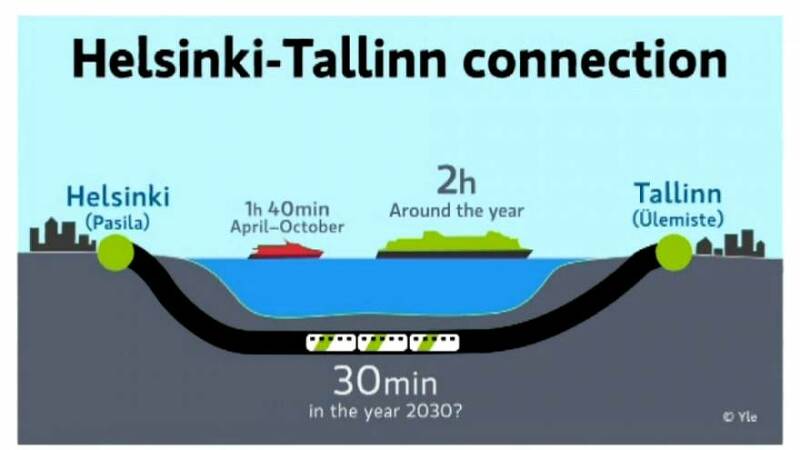 Following a feasibility study, Finland and Estonia want to build a permanent undersea link between their two northern capitals, situated on the opposite sides of the Gulf of Finland. The FinEst Link would connect the cities’ airports and it would also link up with Rail Baltica, a line between Tallinn and Warsaw that's due to be completed in 2026. “Estonia will be connected to central Europe ... and we must not stop here,” Estonian Prime Minister Juri Ratas said at a conference in Tallin. The feasibility study estimated the tunnel would cost 13-20 billion euros, hoping that 40 percent of the costs would come from the European Union. The governments said they would evaluate the results in more detail during the spring.